Switzerland has breathtaking scenery ranging from lakes and rivers to forests and mountains. Hardly any other country can claim to have Switzerland’s density of stunning mountains. Hiking or not hiking in Switzerland? While Switzerland is a paradise for hikers, it is also true that many of the mountains can be reached without any hiking at all. This sounds like awesome news, right? At least for the not-so-sporty ones among us (aka me and since you are here, also you) this can make or break a trip. Looking at it from an objective angle, this might actually explain some of my passion for Switzerland. 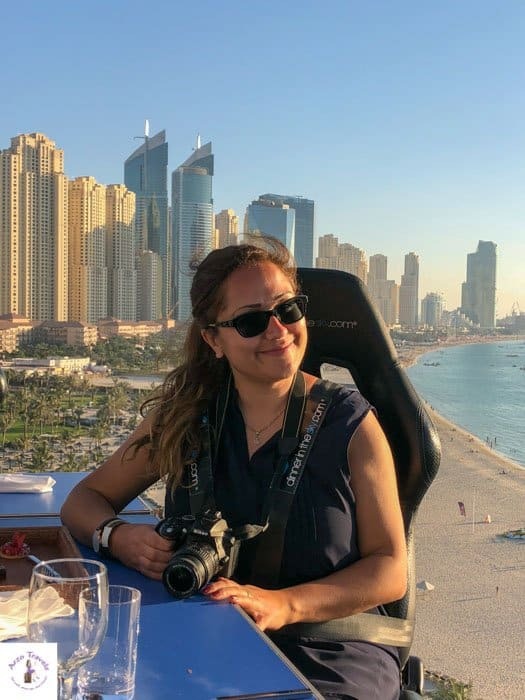 After all, one of the things I enjoy most at each destination is the great views – this in combination with only a little physical exercise sounds even better! Though I enjoy some hikes and love to hike down (I am not so much of a person who enjoys hiking up) I could not be bothered to hike all day. On the other hand, great views from the mountains are one of the things I enjoy the most (=dilemma). Luckily, Switzerland offers great options for those who do not want to miss out on these views but cannot hike for long. Thus, Switzerland is the perfect place to travel to – during the last few years I have had the chance to get to the top of many mountains. Well, while some mountains seem made for hiking, there are others that are made for hiking AND for train/cable car rides. So here are my top twelve mountain views that do not require any (or hardly any) hiking. 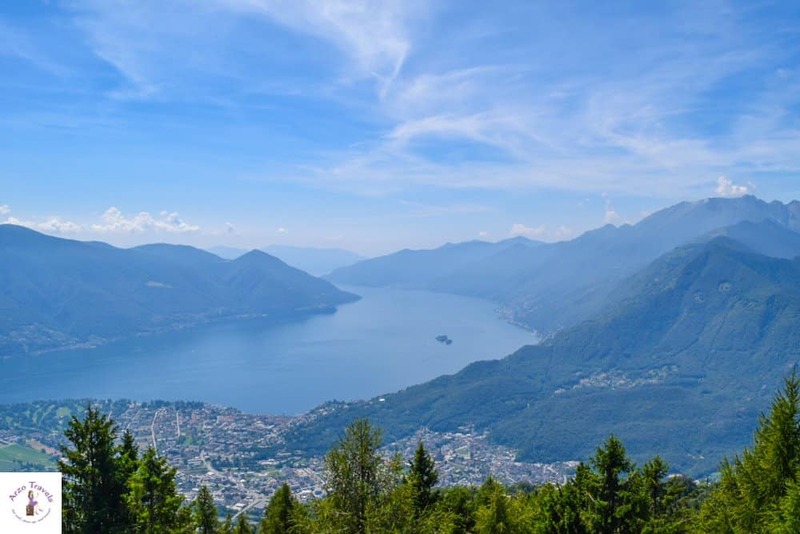 Though this list is not complete and has not included all of the mountains in Switzerland accessible by cable car, these are my twelve favorite mountain views without having to hike too much. 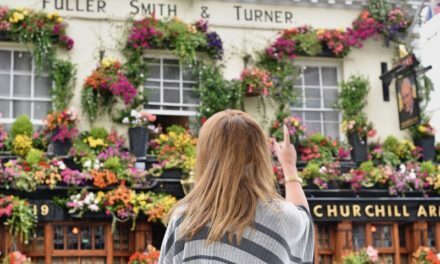 Click here to find out about the best places to stay in Switzerland – I have listed the best places and best hotels (for all budgets) for you in this post. Ready to find out about great mountains in Switzerland which views come without much effort? The views from Mount Pilatus have made it into my top three for the best mountain view in Switzerland- two hours in the waiting line just to get in the cogwheel train was worth it. Tip: Avoid the weekends on a sunny day, or head there very early, because it is one of the busiest places. To get up Mount Pilatus you have different choices, I recommend taking the cogwheel train for getting up, and taking the cable car to get down. While the cogwheel ride is a highlight for most people, I cannot say it was my highlight. However, once up, the views were amazing! There are towns in Switzerland that are not as busy as it was on Mount Pilatus. 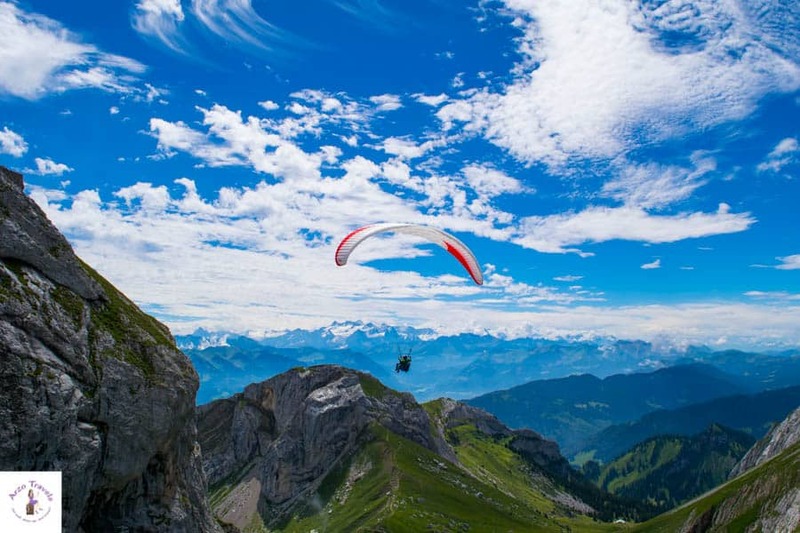 Paragliding, hiking, people-watching, dining, suspension rope park, ….. man, Mount Pilatus is indeed its own village up in the mountain. This is a great place to have some fun aside from sightseeing! How to Get up Mount Pilatus: Lucerne is the nearest place to Mount Pilatus. From there you could get the train to Alpnachstad and then take the cogwheel train, or you can buy a golden ticket and hop on a boat in Lucerne to Alpnachstad and then take the cogwheel. The other option is to take the cable car – either for getting up or down (I definitely recommend using different means for getting up/down). For that you have to take a bus from Lucerne central station to Kriens stop and then walk five minutes to get to the cable car station. Price Adults: Starts from 72CHF (app. 62€) for the cable car option – 122 CHF (105€) for the Golden Tour Ticket (get to Alpnachstad by boat and then take the cogwheel train). 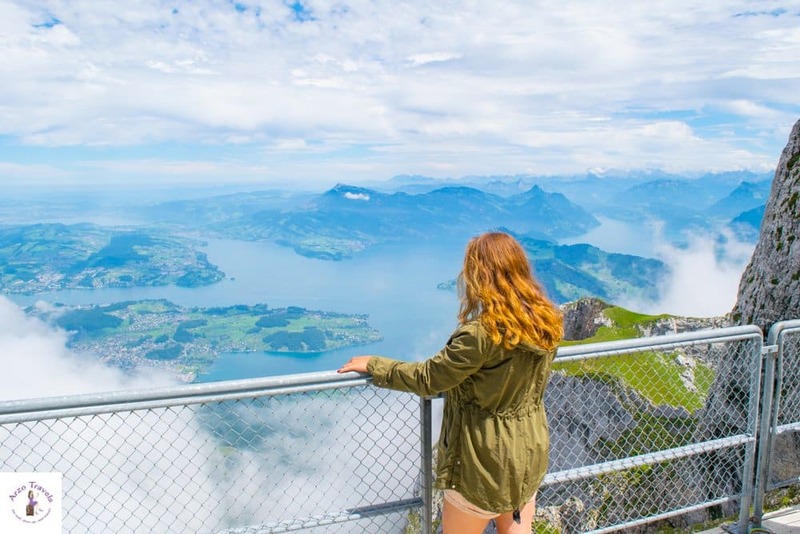 It depends on how you get up, and whether you arrive at Mount Pilatus via boat or not, if you want to hike some part – pricing is a bit complicated, discount with the Swiss Travel Pass. Another beautiful mountain view in the region of Lucerne can be found from Mount Rigi. Lake Lucerne, one of the most beautiful lakes in Switzerland, is a beauty from above as well! Do not be surprised to see cows grazing in the meadows and forests – this ride up will surprise you with great views and untouched nature. 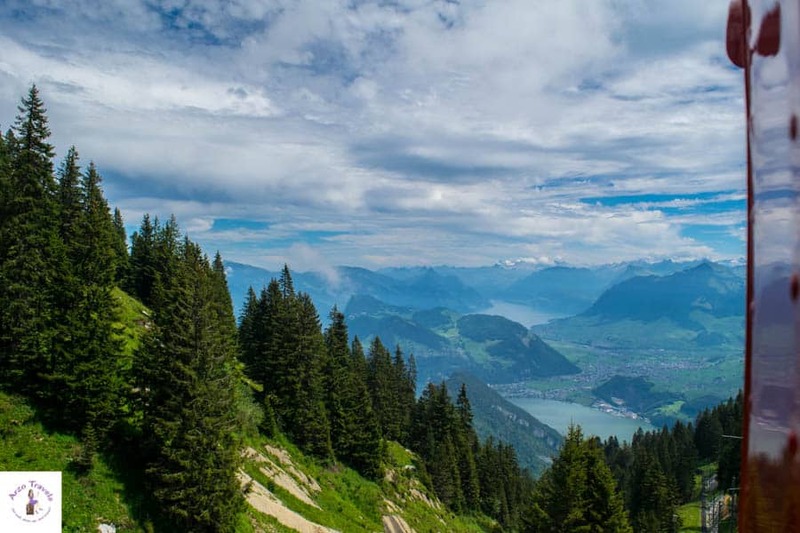 Compared to the other popular mountain in Lucerne, Mount Pilatus, Mount Rigi si much quieter, and there are less activities but it is still a gem and if you are in Lucerne and do not visit Mount Rigi, you are missing out! Take the cogwheel train around the mountain and entertain your eyes. The restaurant at the summit is high end with seats and shades outside, and id you prefer bringing your own snacks and food it is a perfect place for a great picnic. How to Get to Mount Rigi: There are different ways to get up. My favorite way is to arrive to Vitznau station by boat (or bus/car) and then take the cogwheel car up. Price Adults: It depends on how you get up, around 26-50 CHF (23-45€), free with the Swiss Travel Pass. This is probably the most famous mountain trip you can take in Switzerland: a day trip to Jungfraujoch. Being Europe’s highest train station, standing at 3454m, expect to pay a bit more than you do for other stations. 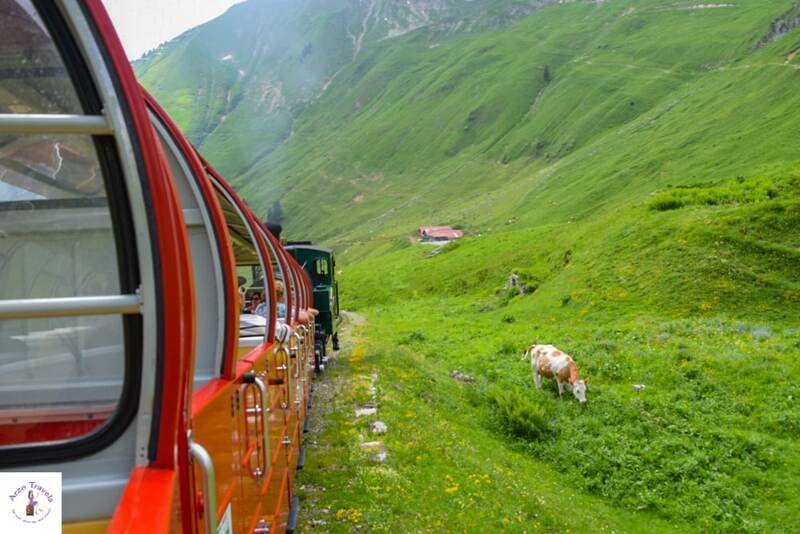 The train ride takes quite a while and there are several stops, so if you plan to get up Jungfraujoch you should plan in a full day. Getting up Jungfraujoch is a highlight for most travelers to Switzerland and there are many reasons why. 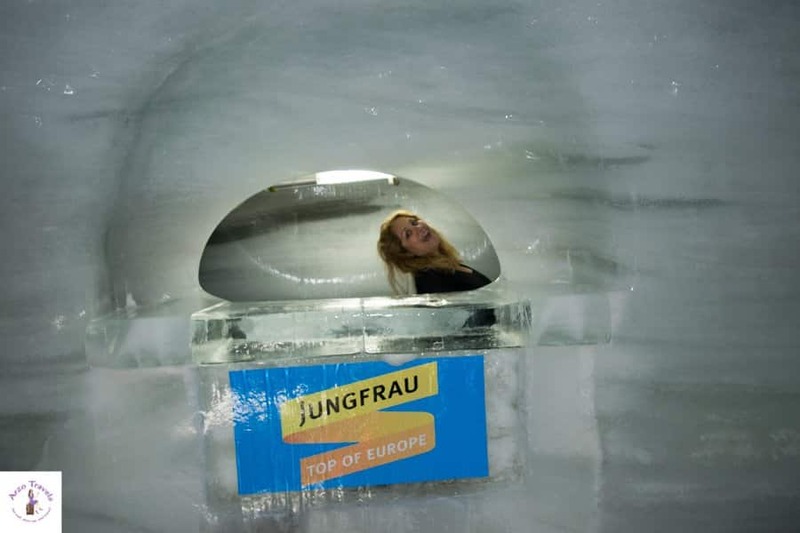 Jungfraujoch has more than great views to offer: The Ice Palace is amazing, not forgetting the Sphinx viewpoint. You can see the Aletsch Glacier (UNESCO World Heritage) from Jungfraujoch and you will not be able to help but stare. Since I visited with a dog, my options of activities were limited – but we still saw the Ice Palace, Alpine Sensation, we went to the “cinema”, the Sphinx Platform, and, as there is a snow guarantee on Jungfraujoch and while others did some winter sports you can, as my Puppygak and I did, just enjoy the snow and playing around. How to Get to Jungfraujoch: Get to Kleine Scheidegg from Grindelwald or Lauterbrunnen. From Kleine Scheidegg take the Jungfrau railway that gets you up to the top. 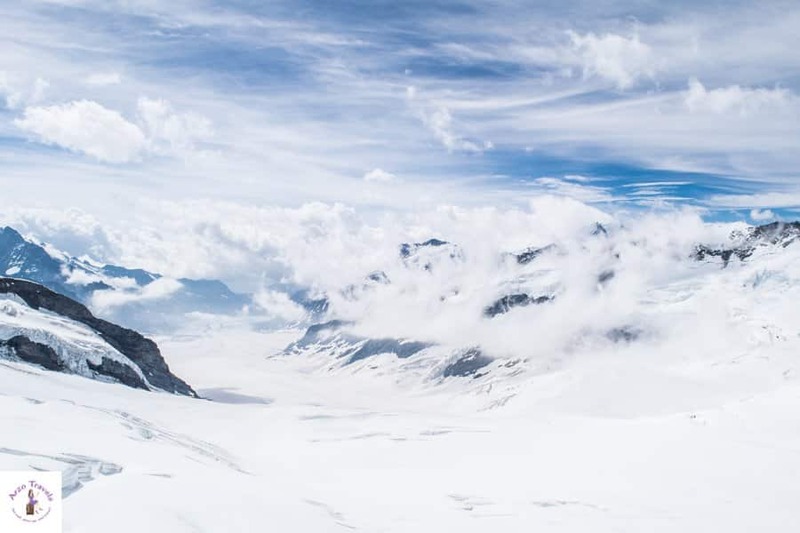 Get a guided tour to Jungfraujoch – the highest trains station in Europe (for tours I often use Viator and GetYourGuide, however, lately I have booked more often with GetYourGuide as I just love their booking system and reminders they send after booking). “Shaken, not stirred”. I admit I still have not watched the James Bond movie “On Her Majesty’s Secret Service” that was filmed here! 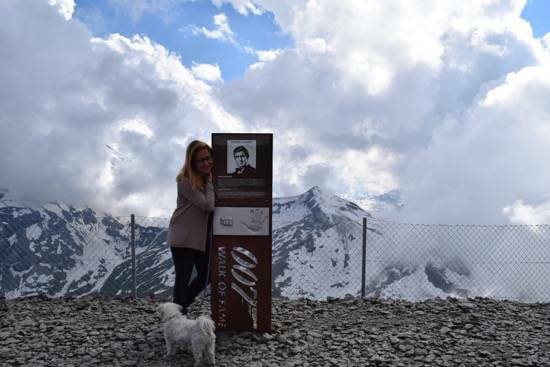 It does not matter if you are a 007 fan or not – you can have an incredible day at Schilthorn and if you are a James Bond fan you will have even more things to do at Schilthorn than just enjoying the great views. From here, you can see the Jungfrau massif and Bernese Oberland – on a clear day you have fantastic views of the Swiss Skyline. 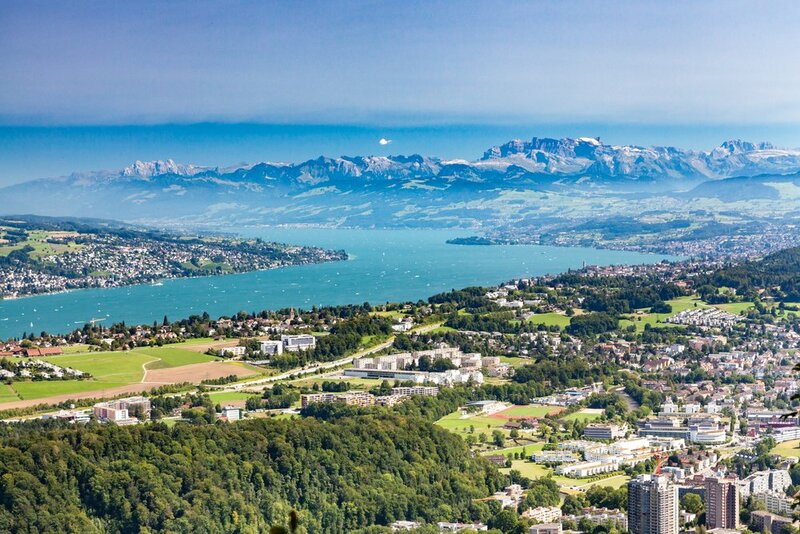 While skyline normally means the “artificial horizon that a city’s overall structure creates” – in Switzerland the skyline is created by the amazing natural scenery. 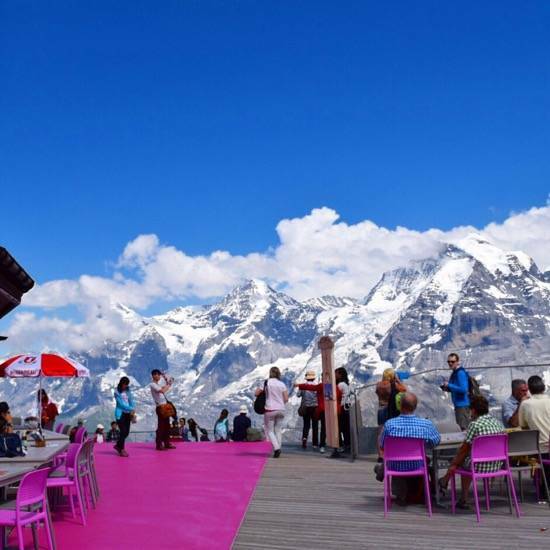 In this case, the mountains, Eiger, Mönch, and Jungfrau create the breathtaking Swiss Skyline. 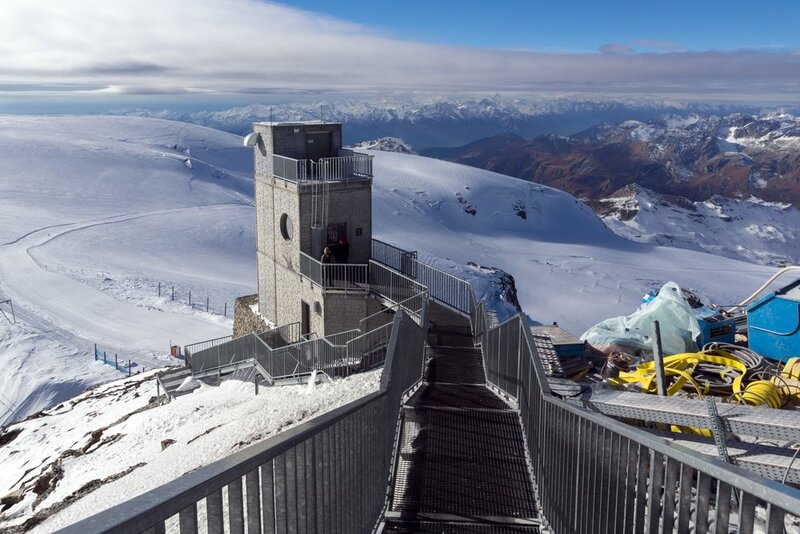 In addition to that, you have the Piz Gloria which you might recognize from the James Bond movies – a restaurant that rotates around its axis in 45minutes – and a James Bond museum where you can not only learn about the movie creation but also let your inner child out, or the inner James Bond, and pretend to be 007 and act out some scenes (they even have – vegetarian – 007 burgers). How to Get to Schilthorn: I admit, that I go very confused how to get up ad down (even though I had a guide with me), as there are different ways to get up Schilthorn. From Interlaken or Lauterbrunnen, you get to Stechelberg by bus or car. From there you take a cable car to Mirren (Mirren is a car-free village) and get up to Schilthorn from there by cable car. You can also go to Lauterbrunnen (car or train) and then take a cable car to Grütschalp. You can then take the train to get up to Mürren and from there you get up Schilthorn by another cable car. 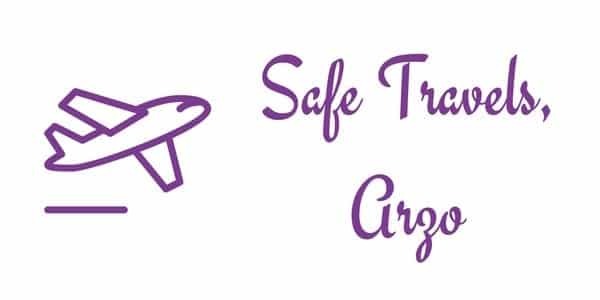 Price Adults: It depends which route you choose, but it will be around 90-110 CHF (85-105€). New since 2018 – free of charge with a Swiss Travel Pass. As one of Switzerland’s mountains that does not need hiking to reach the top, Ebenalp has a lot to offer visitors. It is part of the Appenzell Alps and is probably one of the easiest hikes in Switzerland that offers breathtaking views – but even here non-hikers can reach the summit easily by a cable car. After getting to the summit by cable car (the shortest ride of all the mentioned rides here), you can do a five-minute hike up to reach the Ebenalp Guesthouse. There you can chill, dine, have a coffee or just walk around – with great views of paragliders and Lake Seealpsee. This was the first time I slept in a mountain guest house, and besides the fact that it was freezing, I really enjoyed a unique night up at about 1800 meters high. From the summit, I strongly recommend hiking down (sorry, some hiking is required to enjoy the views to the fullest and if I can do that, you can do it). 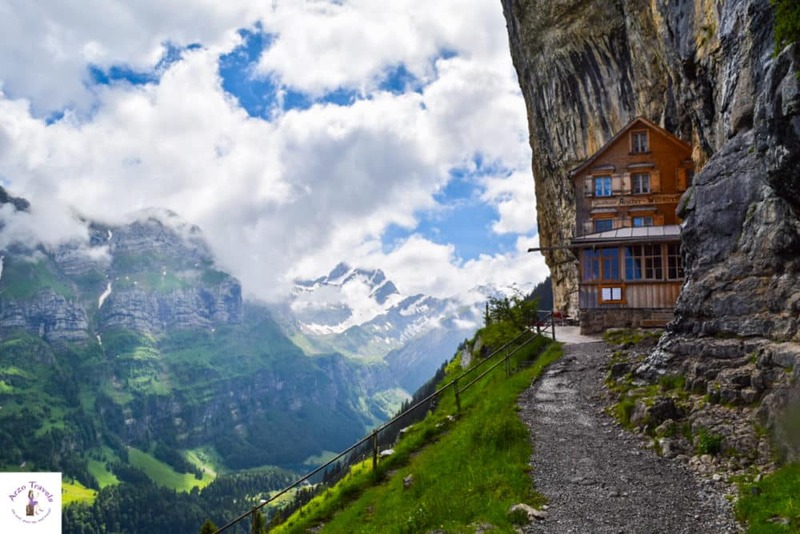 The hike down serves two purposes and one of them is to see the legendary cliff guesthouse THE AESCHER. This place looks amazing, especially during summer. The terrain looks great from the whichever point of the summit you stand. The meadow and rock walls add to the fantastic scenery. It does not surprise that the Aescher has become world famous. Apparently, you cannot stay there overnight anymore, but you can just eat and drink at the Aescher for a good price (Switzerland standard). P.S. Even the toilet looked very cute and had its own unique mountain charm. On my second trip (yes, it was so fun that I actually have been twice so far) I hiked down all the way, and here is why I recommend hiking down for you as well. By hiking down you´ll have the chance to see Seealpsee from close up (or you hike up, but you will not see it without any hiking) – a beautiful colored lake. We hiked down on a very, very foggy day so it took us probably longer (about one and a half hours in total). Oh, do not be disturbed by the cows along the way, even though they might not care and move, you can just walk around them. How to Get to Ebenalp Mountain: The journey starts at Wasserauen station in Appenzellerland (you can also get there by car), and from there just hop onto the cable car which runs regularly. Wondering about the best places to stay in Switzerland? Then click here to find out. Of course, the Italian-speaking part of Switzerland is not short of amazing mountains either. Driving in this part of Switzerland was the most challenging to me (due to the mountains and narrow streets and fast drivers in the mountains), and therefore I enjoyed the cable car ride even more. Though Lake Maggiore is not my favorite lake (Switzerland has spoilt me with lakes in so many different shades that a blue lake is just not that outstanding to me anymore) but the view from Cardada on Lake Maggiore is just breathtaking, and so this view from Cardada has also made it in my top twelve of the best mountain views. This place has beautiful wildlife, which includes birds and the panoramic view of the surroundings is just amazing! How to Get to Cardarda: You can get on the cable car at several stations, you can drive up to Orselina by car/bus and take the cable car from there. Price: Different prices in summer/winter. Prices start from 18CHF-28CHF (15€-25€) for adults. For accommodation in this area I recommend one of my most favorite hotels ever, which is the luxurious 5* hotel Villa Orselina, which is located very close to Cardarda, click here to find out more. 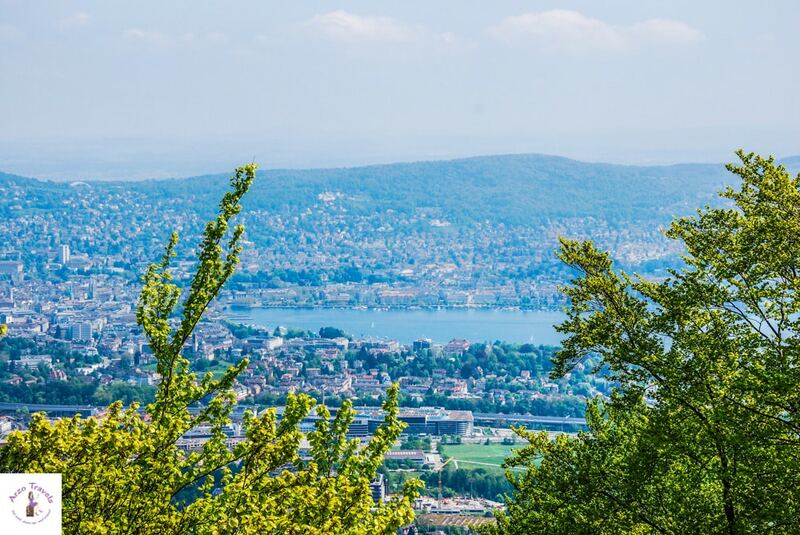 Okay, some might wonder why Uetliberg has made it onto my list – the truth is that I just love Zurich and the view over Zurich and Lake Zurich are amazing. You can get up by just using a normal tram (no extra cost if your ticket covers that area). It has alpine vegetation and when the weather conditions are clear, there is a great view of the many lakes, valleys and mountain peaks. A bit of hiking is required to get to the top but it is just a few minutes and so worth it. If you want some quiet time alone, this is the place to be. There are certain spots that would be great for meditation especially in the forests, but it is also a perfect sport for hiking, cycling, paragliding…. How to Get Uetliberg: From Zurich train station take the Sihltal-Zürich-Uetliberg-Bahn SZU and get off Uetliberg station, to get to the top it takes a few minutes of hiking. 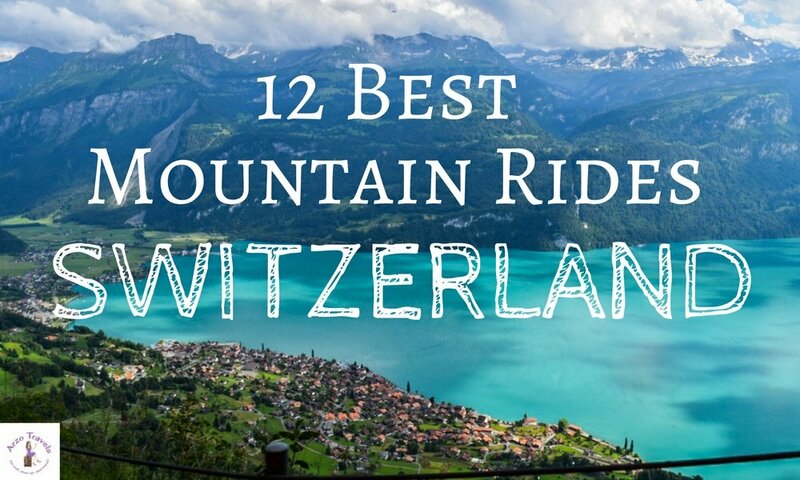 Obviously, as a huge fan of Interlaken, I have several mountains in that region included in this post and Harder Kulm had to be one of them. 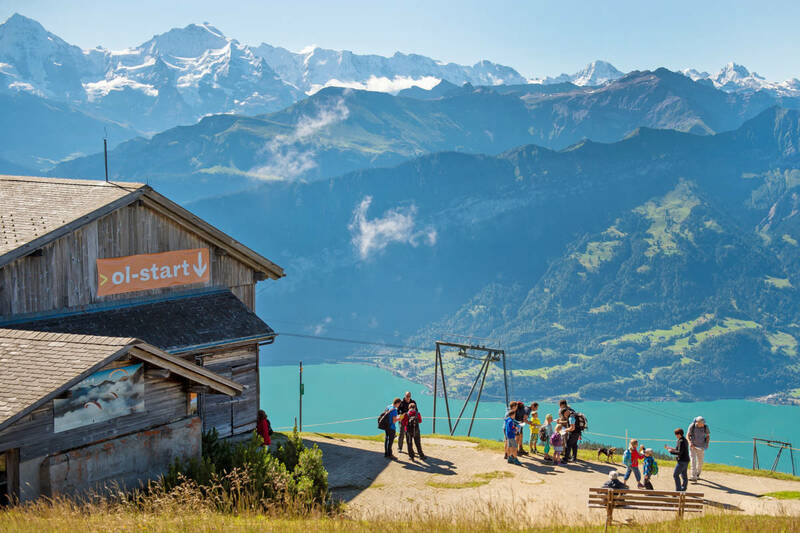 This offers great views of Interlaken, Eiger, Mönch, and Jungfrau. You will love the views from this place. The two-lake footbridge is a good and popular viewpoint and from Harder Kulm, you get spectacular views of Lake Thun and Brienz. 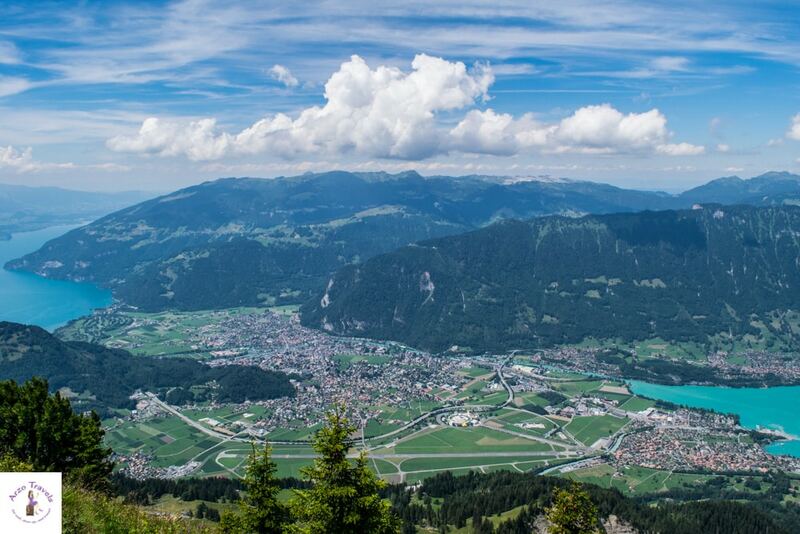 Though Harder Kulm is said to be the easiest hike in that area, it is also easy to get there by cable car. How to Get to Harder Kulm: It is a few minutes from to Interlaken Ost station. 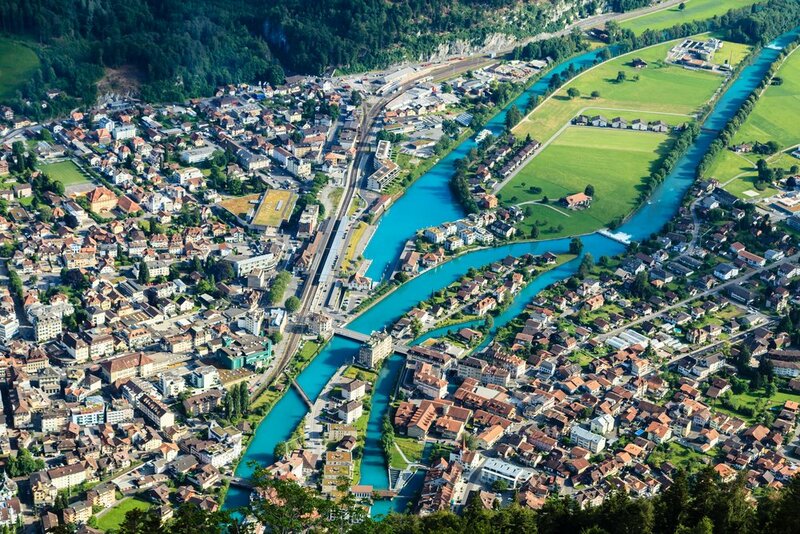 Click here to read about the best places to stay in Interlaken – for each budget. Klein Matterhorn is found in the Swiss Alps and the glacier on this mountain is what makes it unique and creates a breathtaking scene. Once at the top enjoy snowboarding in the snow park – just remember that the altitude is extreme (I thought I would be fine with mountains that are less than 3000 meters) and you might feel dizzy, so make sure to stop along the way and drink a lot. Glacier Palace offers more fun as it has ice sculptures. Explore, learn and have fun as much as you can. If you love anything related to snow and glaciers, this is the place to be. How to get here: Zermatt is a car-free town, so to get there you need to take a train to Zermatt station. The cable car is the ideal means of transport to reach this place. However, this is after you use a train service called Matterhorn Express. Prices for adults: Start 58CHF (about 53€), discounts with a Swiss Travel Pass and some other passes. The Oberberghon is the main landmark of Schynige Platte. It is a rocky area with scenic views and extremely popular for, at least two reasons. 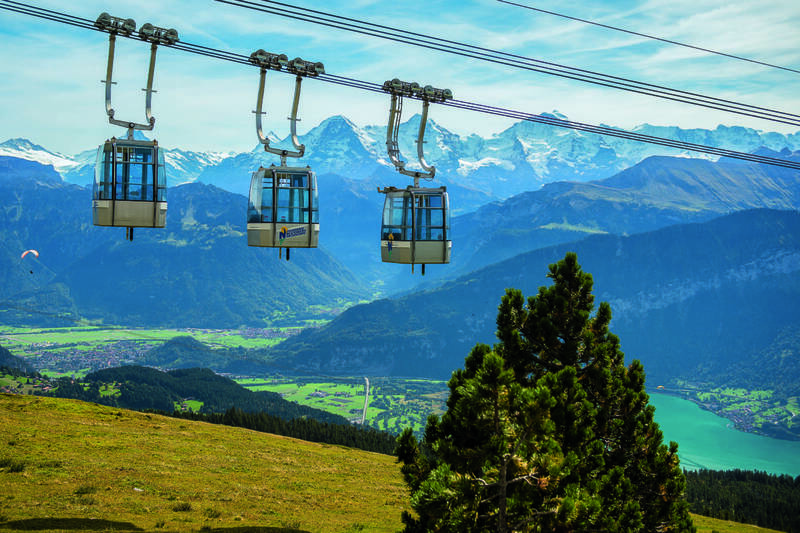 If you get out the cable car you have breathtaking views of Eigner, Jungfrau, and Mönch – also known as the Swiss Skyline. There is a restaurant and it is the perfect spot to chill – to enjoy views from Schynige Platte to its fullest you have to hike a bit because it holds more spectacular views this way. 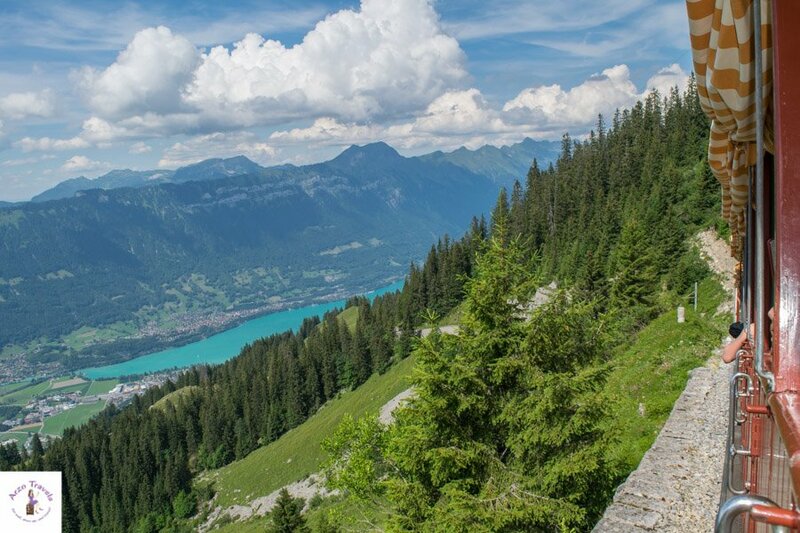 Hiking to the other side (about 15-30 minutes) and you´ll have a dramatic change of scenery – overlooking Lake Brienz and Lake Thun. 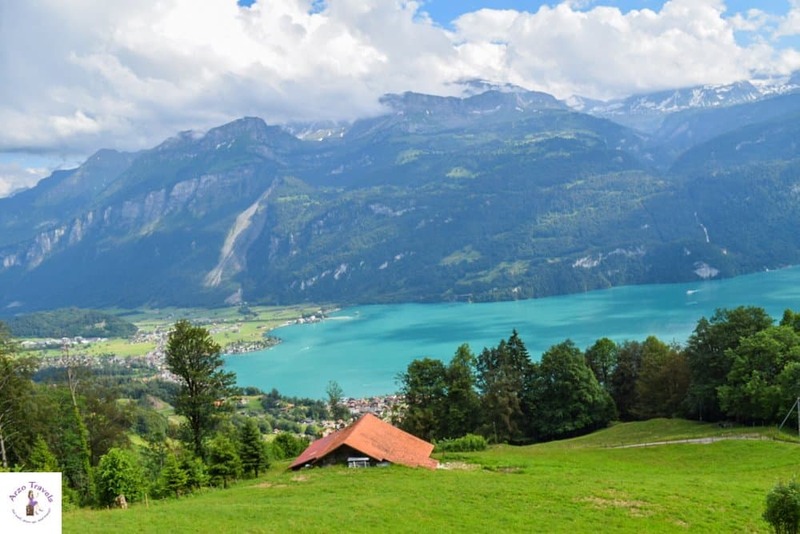 To have a perfect view of Lake Thun and Lake Brienz  you have to hike a little (you can use the path through the Alpine Garden which is lovely too, or you can use the other way) – so to enjoy both views some hiking is essential but believe me, it is worth it! Both views are fantastic, so add Schynige Platte to your Switzerland itinerary. How to Get to Schynige Platte: Get to Wilderwil station (by train or car), from there you take the cable car to get up. Prices: Click here for prices (in 2017 getting up Schynige Platte was free with the Swiss Travel Pass, this, however, is unfortunately not the case anymore). Niederhorn Mountain has also made it onto this list, though it was a bit foggy when I visited. 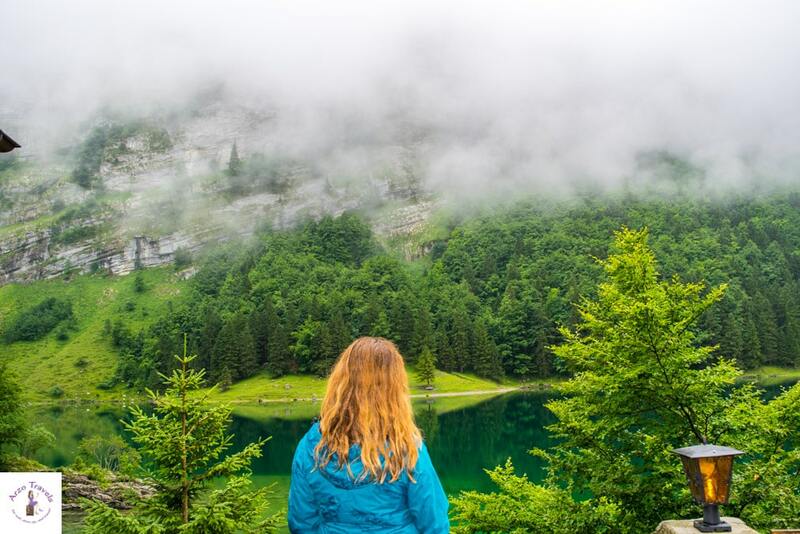 As one of Switzerland’s mountains that needs no hiking to enjoy the view, you will enjoy every moment you spend here- even on a foggy day (but I would definitely choose a not so foggy or rainy day). Trotti-biking (yes, I was also wondering what this could be when I read about it for the first time….it seems to be a “scooter-like bike without a seat”) or to do a guided wildlife observation tour. With a view of Lake Thun, it is never wrong to spend a lot of time on Niederhorn. Here are more tips for Lake Thun. How to Get To Niederhorn Mountain: I probably should not give any directions as I got it wrong and ended up in the wrong station but as I somehow managed to get up, I will give you directions (I double-checked for you). There are different ways to get up. You can drive up to Beatenbucht by car/bus and take the funicular from there to Beatenberg. From there you can take the cable car to get up Niederhorn Mountain. Price Adults: Beatenbucht-Niederhorn Mountain about 53CHF (about 50€). If you start from Beatenbrg it will be cheaper. Discounts with a guest card Beatenberg, Interlaken, Habkernp and Jungfrau Region. With this guide about twelve of Switzerland’s mountains that do not require hiking to get to the summit, you are good to go. Choose whichever mountain excites you and visit. Even better, make it a point to visit all twelve in your lifetime. As often, I have saved the best for last! Find out about the most amazing mountain ride in Switzerland. Brienzer Rothorn is my absolute favorite mountain trip. A trip of a life time which blew me away! Brienzer Rothorn amazed me more than any other and I am sure you´ll have a great day as well on Brienzer Rothorn. There are two reasons I have come to the conclusion that Brienzer Rothorn offers the best mountain views. First, the ride up in an old steam locomotive is one the best rides I have had –  the views are great all the time. Secondly, Lake Brienz, one of my favorite lakes, can be seen almost all the time on the way up. 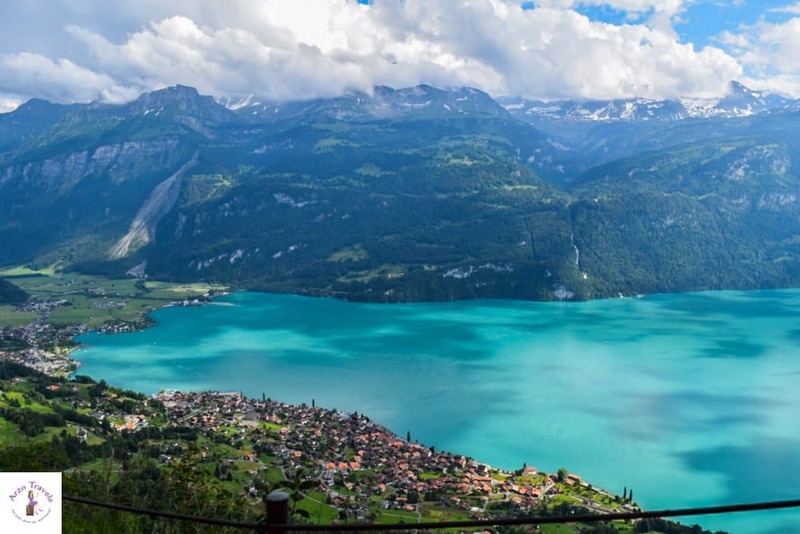 Lake Brienz creates such a beautiful view from the mountain that you will not be able to get enough of it. The water looks amazing! The green vegetation looks amazing! The meadows, forests, cows… it all looks amazing! Even the clouds add to the beauty of the place. The steam locomotive takes about one hour to get up, and it is not wasted time! I enjoyed every single moment. Seriously. Every: Single. moment! If you ask me I will tell you: Take that trip! P.S. 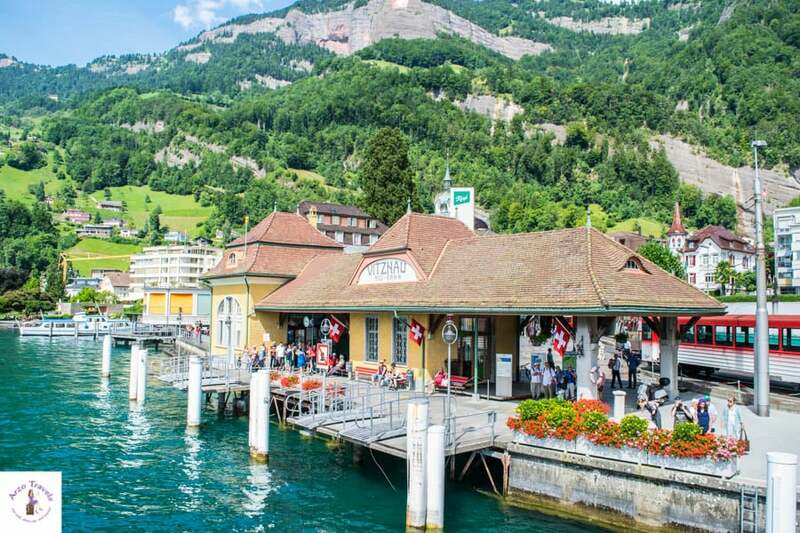 Here are more places to visit around Lake Thun. The only thing I regret is that I have not slept in the guest house up on the mountain. How to Get To Brienzer Rothorn: The steam locomotive starts from Brienz Station (get there by boat or train), you can buy tickets there and get up. 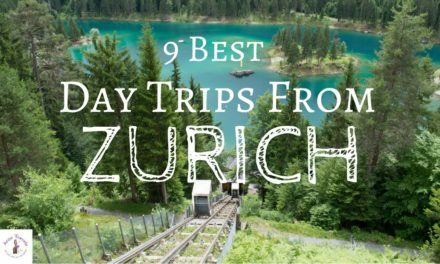 I hope, this post has inspired you and you will add some Switzerland mountain trips to your itinerary. As you can see, hiking is not always required to enjoy the most amazing views! As you have probably noticed, I am a huge fan of traveling through Switzerland, so I have written quite a lot of posts on Switzerland for you guys. Click here to read all my Switzerland posts and find out all you need to know about a trip to Switzerland.